Josh Neal connects in a game earlier this season. The Spartans have since compiled a seven game win streak. As the weather has improved Spartan baseball has improved with it. 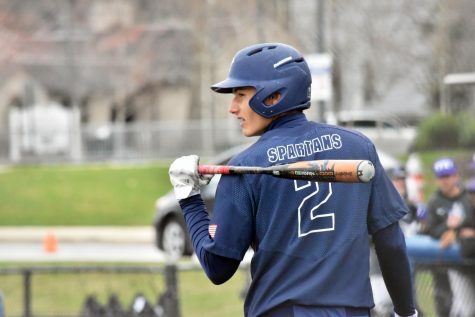 Despite a rocky start the Spartans have found their groove and have now compiled a seven game winning streak. 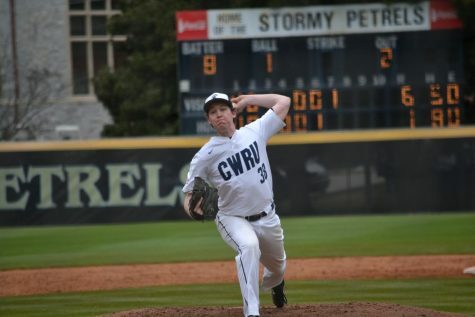 The Case Western Reserve University baseball team has been on a roll, winning against the College of Wooster, Penn State Erie, The Behrend College and the University of Pittsburgh at Greensburg. Adding to the team’s glory is Tony Damiano, who has been named University Athletic Association (UAA) Baseball Hitter of the Week. 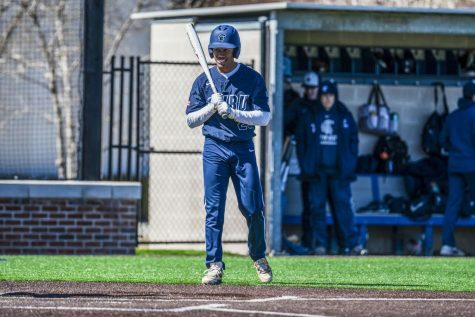 The sophomore right fielder has been a key player in several of the CWRU’s games, batting 0.429 (6-for-14) with five doubles and a slugging percentage of .786. 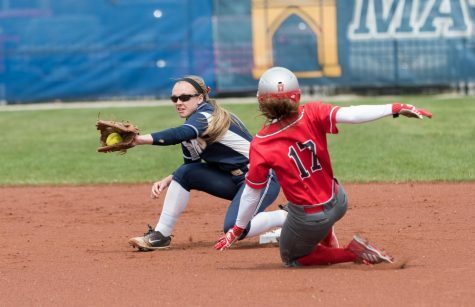 In CWRU’s 12-0 victory over Pitt.-Greensburg, Damiano doubled twice, drove in two runs and made a putout or more in every inning. He managed to finish with a total of 10 putouts and an assist. Additionally, in the 2-1 against Penn St.-Behrend, Damiano shone again, driving in the first run of the game. In terms of doubles, Damiano leads the pack with 10, and he takes first in runs (18). 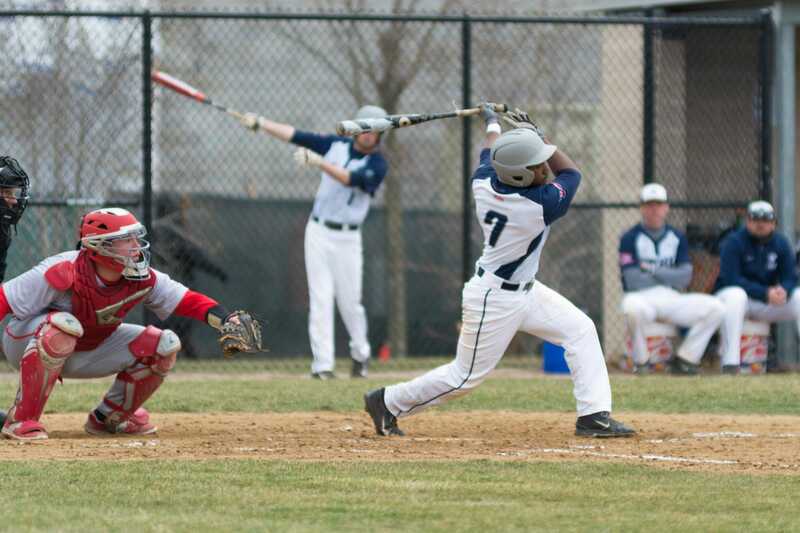 He is also tied for first, with 10 stolen bases, and with 15 runs batted in, he’s second on the CWRU team. The sophomore also earned UAA All-Tournament honors at the 2015 UAA Baseball Championship earlier in the season. Overall, the team has really picked things up, with six consecutive victories. 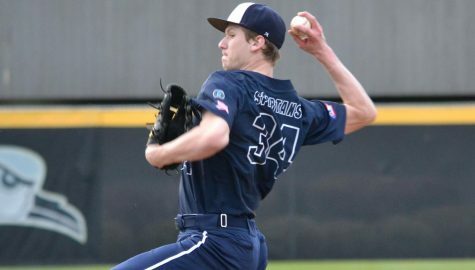 Some key players who have stepped up to the plate—excuse the pun—include Kevin Johnstone, who outdid himself against Penn St.-Behrend, tossing shutout ball for 8.1 innings; Aaron Cain, who singled home pinch-runner Nate Glasser, as CWRU earned a two-out, walk-off victory, and Jordan Swisher, who hit decisive, game-winning a two-out, two-run, walk-off triple against Pitt.-Greensburg. All in all, the Spartan men finished off against Pitt.-Greensburg 12-0 and 4-3, Penn St.-Behrend 2-1 and Wooster 3-2. Hopefully, this winning streak will continue this weekend, as the team takes on Wittenberg University. They will play at home on Saturday, April 19 at noon and 2:30 p.m.